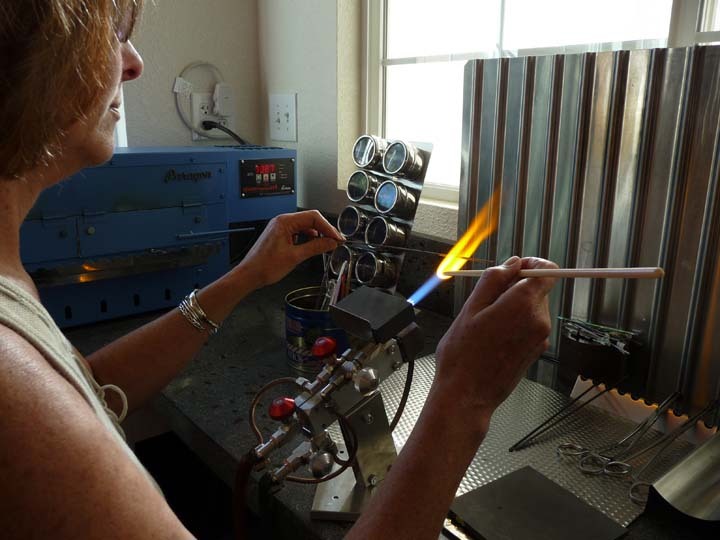 My classes are tailored to the beginning and intermediate lampworking student. I also give classes in beginning fusing. Classes are scheduled according to student needs. Price for a three hour class is $80.00 and includes all supplies. I can accommodate up to two students at a time. Practice torch time is available for $20.00 per hour.